Technology improves day by day, so does our kids’ intelligence. So it is very important to provide them with resources that make them more knowledgeable. There are many puzzle games available in the Google Play store that you can download. But if you are looking to give them the best, try out a new app named ‘YaMeMo’. The app has many cool features to increase the memory power of your kid and help him focus better on whatever he does. 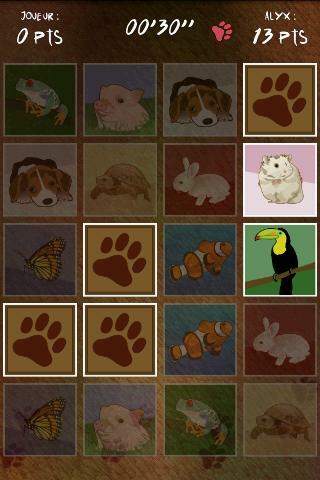 YaMeMo is an Android-based memory game which requires a lot of concentration. It is similar to a memory game (where you match pairs of cards) but contains various exciting extra features. You have to play the game by tapping the tiles and matching them with the right pair. YaMeMo has 5 themes namely Space invaders, Patterns, Jewels, Animals and Symbols. You have 4 types of Game Styles such as Duo, Trio, Chrono and Versus. You can also decide on the number of rows and columns you would like your game to have. 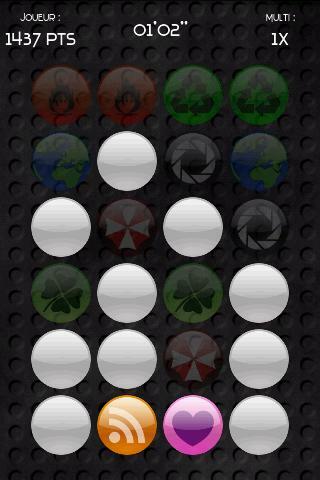 The gameboard contains a matrix of tiles (which you can choose initially). Every tile has a shape (the shape varies according to the theme) hidden into it. All you need to do is tap on the tiles to turn them over and see the hidden shape. Make a mental note of the shape and the location of the tiles. You are required to match tiles by finding pairs having similar shapes. By selecting a particular style from the game style option you can either see 2 or 3 shapes at a time. In the Chrono style you will have a time limit and you get more hidden shapes to pair continuously till time runs out. The Versus style allows you to play with the selected in-built opponent. What’s special about the app ? YaMeMo has an appealing display and interesting shapes that differ for each theme. If you get bored of playing alone you can use the Versus style to play with opponents like Barney, Gordon, Alyx, Issac and Eli. The navigation is good and self-explanatory. YaMeMo is a powerful tool to make your kid enthusiastic. It would have been good if the app had a tutorial to guide first time users. Apart from this, YaMeMo is the perfect puzzle app to boost your kids’ memory power. This is a free app and it requires an Android version of 2.2 and above.